I volunteered to make two Viking hoods by Rowany Festival for Sir Haos Windchaser and Mistress Bryony of the Bees, to help replace the garb that they lost. The hood for Haos, embroidered in yellow and red wool, made by Ceara Shionnach 2015. The hood for Bryony, embroidered in green and white wool, made by Ceara Shionnach 2015. Each hood took approximately 13 hours to make, and were entirely handsewn and embroidered. The fabrics used were brown wool for the outside and green cotton for the lining, passed on by Lady Ursula von Memmingen (who is in charge of co-ordinating the making of garb/accessories for Haos and Bryony). These hoods are based on the Norwegian Skjoldehamn hood (Figure 1), as described by Løvlid (2009). It was found on a body in a marsh on the island of Andøya, near the harbour of Skjold, and is dated around 1050 to 1090 (Løvlid, 2009; Deyeson, last accessed March 2015). The extant hood is made of three squares of wool – the main square and two gores that are roughly half that dimension. The main piece has been folded in half and slit almost all the way up (leaving a 2.5cm section at the top that is not cut), and the gores are sewn onto the front and back (rather than the sides, as would usually be expected by modern standards). Lucas (2009-12) proposed that, synthesising various papers on the find, the reconstructed pattern would have been a main piece of 60cm squared with two gores 30cm squared. Lucas (2009‑12) also drew a diagram of the various stitches involved, showing that the raw edges were not hemmed and were simply whip stitched for support. 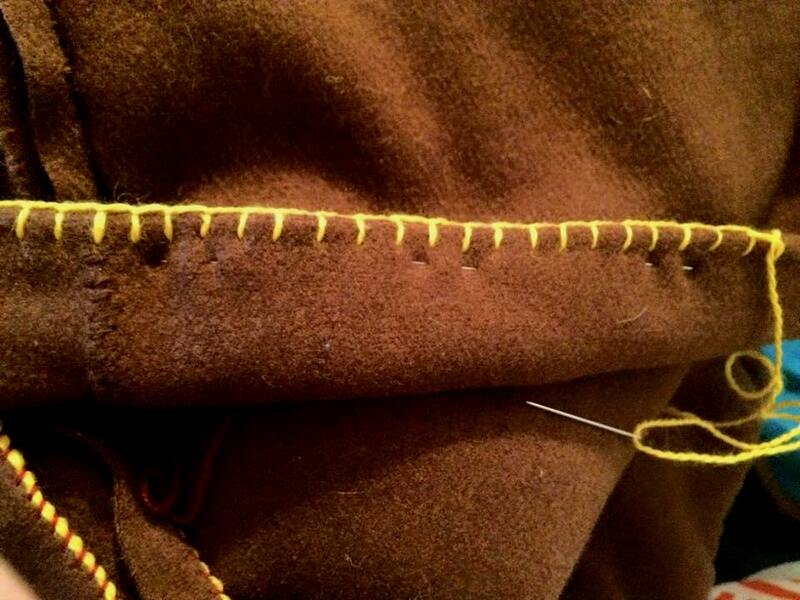 In fact, the stitches used on this hood (decorative or otherwise) were whip stitch and an oblique basting stitch. 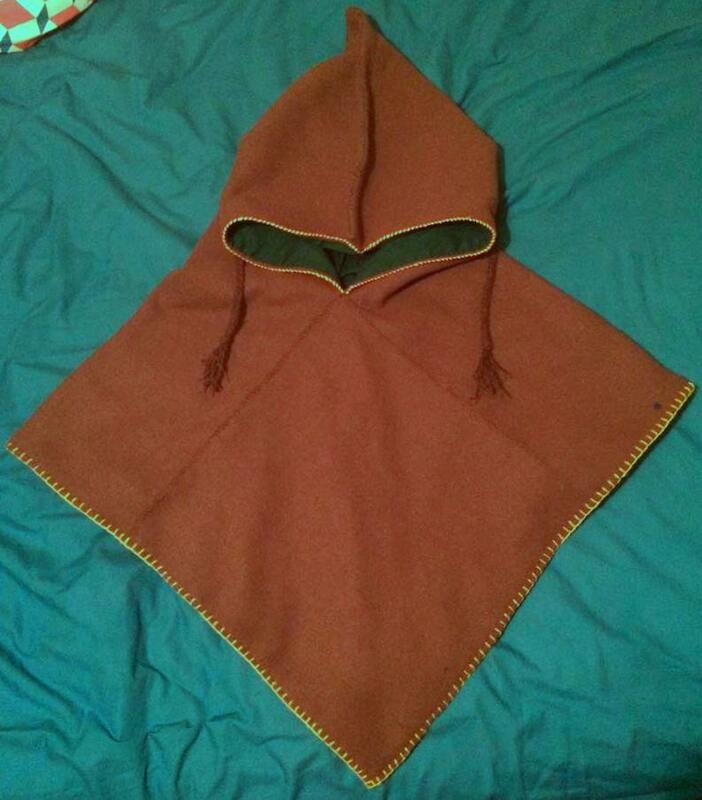 After completing these hoods, I stumbled across another useful description of how to construct and stitch a version of this hood (Deyeson, last accessed March 2015). Having made hoods for TRM Niall inn Orkneyski II and Liadan ingen Fheredaig II, I knew that 60cm would not be big enough and so I extended them to 70cm for the main piece and 35cm for the gores. 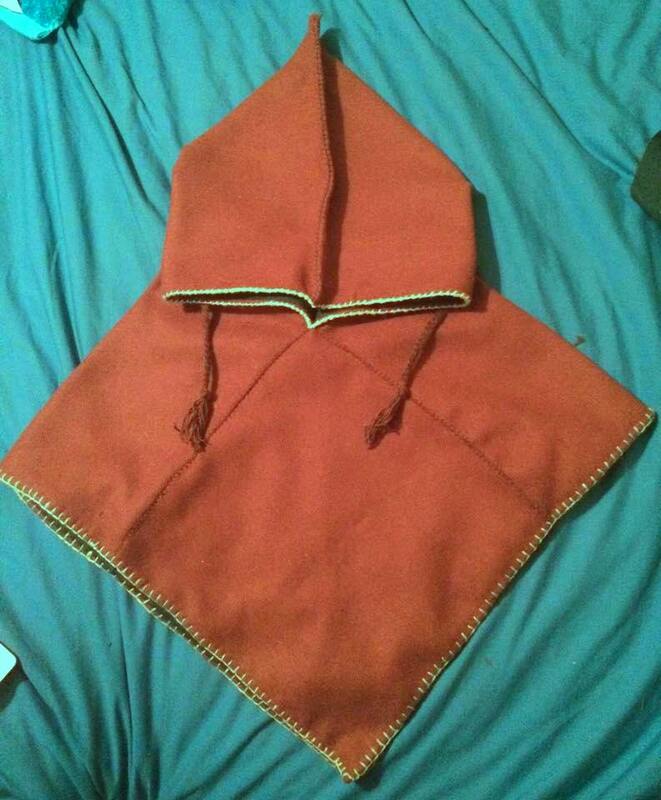 Unlike the extant hood, these hoods were lined with cotton. This was to make them more comfortable to wear (the cotton is nicer on ones face than the wool is), and would also make them even warmer and sturdier to wear. Prosjekt Fritid (last accessed March 2015) presents a diagram of the different stitches used on the Skjoldehamn hood. These include whip stitch, running stitch, blanket (buttonhole) stitch and couching. I found some aspects of the diagram difficult to decipher, however, I did my best to try and use the same stitches in the same places on the hoods I made. 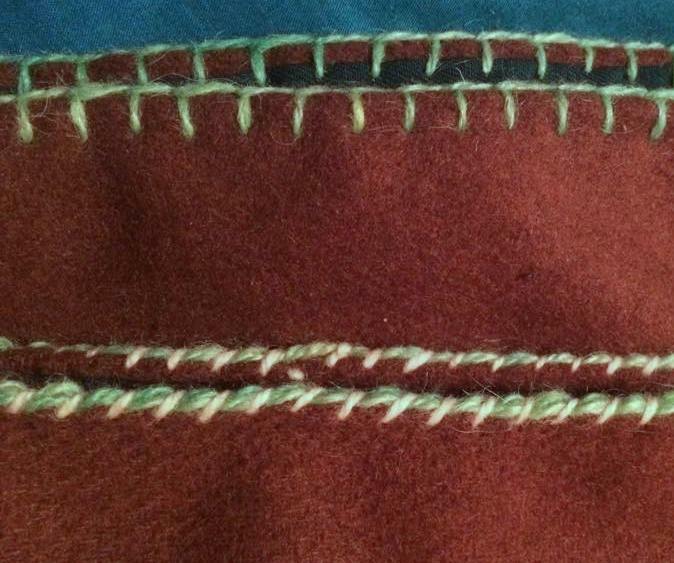 Blanket stitch on Haos’ hood, by Ceara Shionnach 2015. Yellow wool couched with red wool around the face on Haos’ hood, by Ceara Shionnach 2015. Whip stitch in brown wool that was similar to the colour of the wool fabric was used to construct the hoods, by Ceara Shionnach 2015. Green wool blanket stitch, and green wool couched with red wool around the face on Bryony’s hood, by Ceara Shionnach 2015. The construction was completed using brown wool thread in whip stitch. 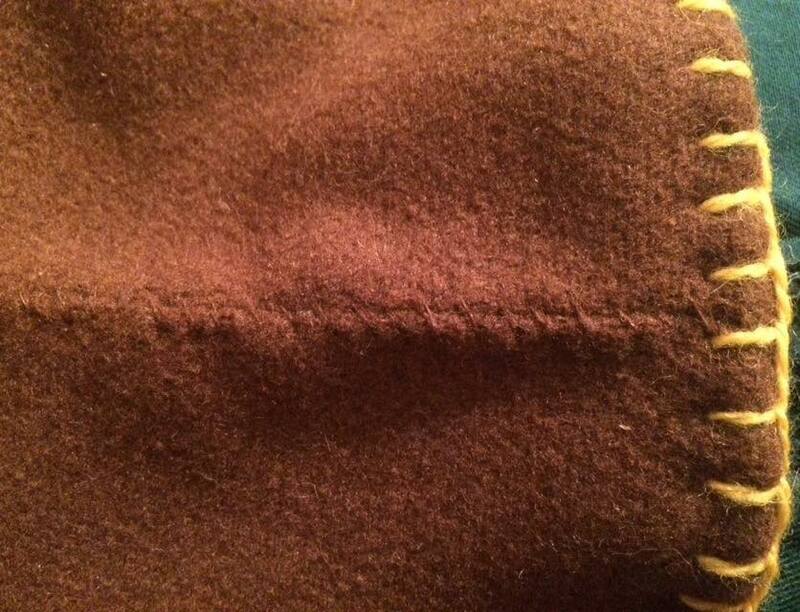 The cockscomb was created using running stitch in the same brown wool. The face was embroidered in couching with two different wool colours each (based on their individual heraldry) – red and yellow for Haos and green and white for Haos. The bottom of the hoods was embroidered in wool thread in blanket stitch in yellow for Haos and green for Bryony. The sources I found on this hood did not mention details around the ties, so I improvised and used the brown wool thread to plait two ties for each. 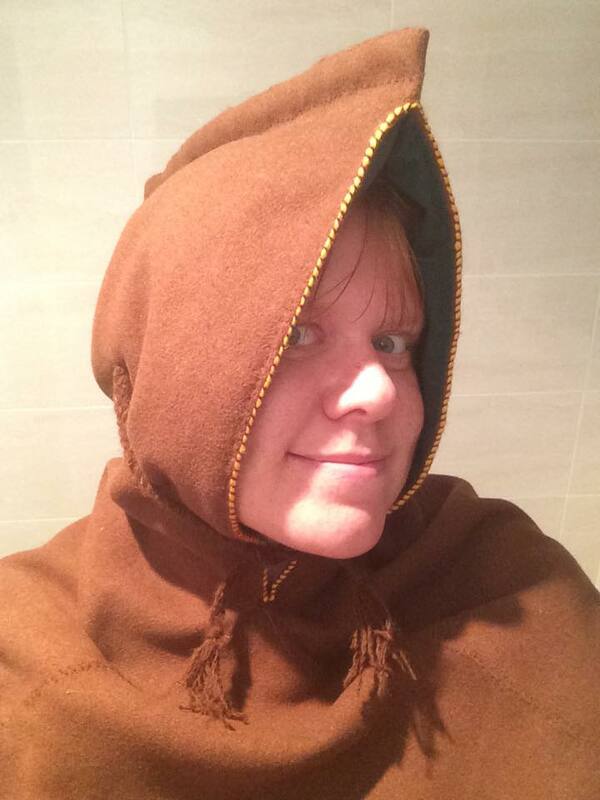 Me, wearing the finished hood for Haos, demonstrating the ties done up at the front and the cockscomb – Ceara Shionnach, 2015. Deyeson, Eleanor (last accessed March 2015). Hand finishing the Skjoldehamn Hood – Class Handout. Published on Eleanor Deyeson’s Inquiries: Research into Historical Accessories and Oddities. Løvlid, Dan Halvard (2009). Rethinking the Skjoldehamn Find (Nye tanker om Skjoldehamnfunnet). University of Bergen. Lucas, Rebecca (2009-12). 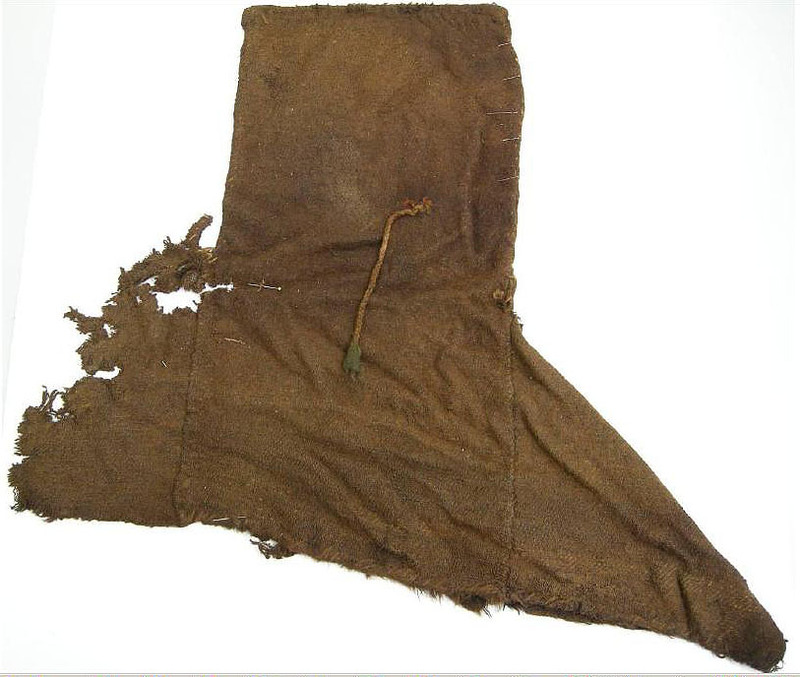 A Tunic and Hood from Skjold Harbour. Prosjekt Fritid (last accessed March 2015). Hood from the Skjoldehamn findings. Glad you enjoyed the write up. I’m so glad to see someone else making this and using the coxscomb at the top. I added a few photos, and changed the web address slightly, so you may want to edit your references. However, wordpress still gets it to the right place.